aleks from amsterdam/ haarlem is hitting the new 4 track ep on deeptrax with dope 909 patterns, bubblin deep inverted 303 basslines, electrical resonant sonic noises, distorted tape technoid trax and ocean deep chords. but all have that rare groovy component called the future of house.... this one is from another galaxy. 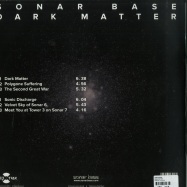 after the sublime triple 12inch re-issue of the sonar bases 4-10 album on deeptrax records, it s now time for the second installment in the sonar base transmissions series: the album dark matter . all 6 tracks were produced by frank de groodt around 2004/2005 and were only released in the inner circle, never released on vinyl. this mini lp still sounds as fresh as it was produced 13 years ago, experimental on the drums and synths. when listening to sonic discharge and velvet sky of sonar 6 , the link with drexciya is easily made. 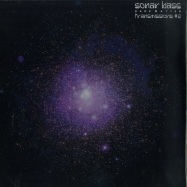 sonar base takes you further into outer space territory with the dark sounds of polygone suffering and the title track dark matter there is the clear idm feel of tracks like meet you at tower 3 on sonar 7 . dark matter is a hypothetical type of matter distinct from baryonic matter (ordinary matter such as protons and neutrons), neutrinos and dark energy. 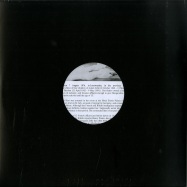 dark matter has never been directly observed, however, its existence would explain a number of otherwise puzzling astronomical observations the mini lp is limited to 400 black versions and 100 on limited edition purple marbled vinyl, pressed by deepgrooves and fully remastered by thee j johanz. you know the drill!! shedbug from australia is kicking off our newest release on deeptrax. four trax for the heads and for the floor. screaming acid with deep rhythms full of mesmerizing chords like these old detroit warehouse vibes meeting ultra dope bouncin beats going into dreamy breaks. all captured in sonic waves from this melbourne salt mine bloke on a heavy mythical mental mission. deeptrax proudly present the first various artists sampler on deeptrax records called deep series 1. after receiving demos from artists all over the world we found beautiful tracks that would fit perfectly together on a great sampler for home listening or proper dj massacre. 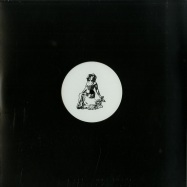 the b side of this ep is more focussed on minimalistic house music. one half of tsempoo named tserg already did his wonderful debut ep on deeptrax. together with a friend he releases music under his second alias named tsempoo. 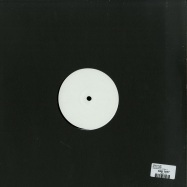 rich p, who will do multiple releases on deeptrax ending the ep with a simplistic though wonderful handcrafted techno. an ep full of heavy drum rhythms, moody synth lines and ambient soundscapes throughout. limited to 250 copies pressed at deepgrooves!